To purchase any of these books for yourself or others, please go to Amazon.com or Babyheartspress.com. Each purchase supports the work of Hearts Unite the Globe to empower the congential heart defect community. Thank you. Alex, had to go to the hospital. The story shows the different ways Alex’s hospitalization affected Joey. But My Brother Needs An Operation is more than that. This interactive book provides parents and children an opportunity to talk about their feelings. With a Hospital Diary and Activity section, this book will also be a part of your family’s history. Few things are more stressful than having a child in the hospital. When you have more than one child that stress is exacerbated by the fact that your time is divided in a whole new way. Schedules are confounded, time may be missed from work and some parents even have to go out of town or out of state for treatment. All of a sudden life is much more complicated. If parents are in shock, dismayed or traumatized, just imagine how a young child might feel. This book is meant to help families through the crisis of having a child hospitalized by comforting the unhospitalized sibling. Foreword by Edward L. Bove, M.D. 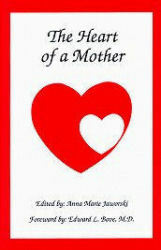 The Heart of a Mother collects the stories by over 60 mothers around the world who have dealt with CHDs. This book is a must read for anyone involved with families living with CHDs. Discover how women feel from the point of discovery of the CHD, through the surgeries often needed, to how they find and give support to others and their family and on to their hopes for the future. Have you ever wondered how a girl born with a CHD feels about having a child of her own? If children with CHDs can lead a normal life? How having a child with a CHD will change your life? This book answers those questions and more. Foreword by Ray Fedderly, M.D. When a family has a child born with a congenital heart defect (CHD), everyone is affected. This is a book of essays and poems by men from around the world living with CHDs – personally, through their children or grandchildren. These men boldly address issues that face all men – how their faith and marriages have been challenged, how they’ve had to redefine what it means to be a father and a man, and how difficult it is to move on when a child dies too soon.Through these stories, we come to see how CHDs bring people together regardless of race, religion or nationality. Now we finally have a book to help all men know that they are not alone with the feelings they have about dealing with CHDs. Any person working with CHD families can benefit from this book. 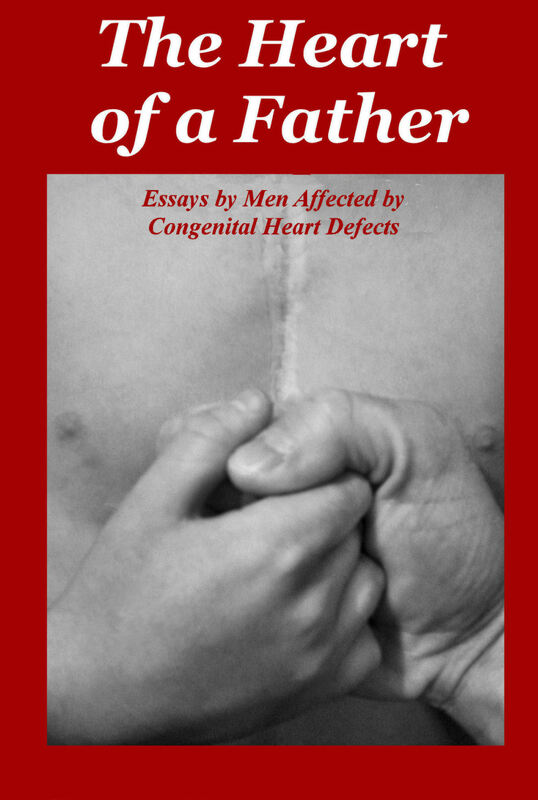 This book answers questions about how dads deal with many issues involved with raising a CHD child, how having a CHD grandchild affects grandfathers, and what it’s like to be a man growing up with a CHD.